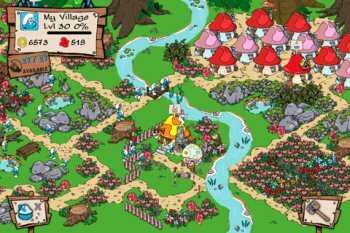 U.S. regulators are being asked to look into the situation after an eight-year-old girl purchased $1400 worth of smurfberries in the iPad game Smurfs' Vilage. Stephanie Kay recently got a rather startling surprise in her email: a $1400 smurfberry bill. The charges were rung up by her eight-year-old daughter, Madison, who apparently didn't realize that although the Capcom game Smurfs' Village is free, smurfberry purchases made within it cost real money. A lot of real money. "I thought the app preyed on children," Kay said. "Note that the Smurf app states it is for ages 4-plus." She was given a one-time refund when she brought it to Apple's attention but her situation and others like it have now attracted the attention of two members of the U.S. Congress, who asked the Federal Trade Commission to look into the matter. "I am concerned about how these applications are being promoted and delivered to consumers, particularly with respect to children, who are unlikely to understand the ramifications of in-app purchases," Rep. Edward Markey said in a letter asking the FTC. He wants the Commission to "assess current industry activities in this area to determine whether they constitute unfair or deceptive acts or practices." It does seem a bit odd that a game ostensibly for children would charge $19 for a bucket of snowflakes or $99 for a wagon of smurfberries, but it also bears wondering why she, and other children, are being given access to iPads and online games without supervision. Some parents complain that parental controls are difficult to use or have loopholes, like giving users a 15-minutes window to make purchases without re-entering a password after it's entered once. But those controls are only effective if they're actually used and it's hard to be too critical when "Madison's mother let her download smurfberries with the help of her older sister, who knew the family's iTunes password." Capcom said instances of accidental online purchases were "lamentable" and has added a disclaimer on the App Store warning that the game is free but in-game purchases are not, along with a pop-up in the game itself reminding players that this stuff actually costs money.